Surprising news from DC. In an unexpected announcement we have confirmation that Henry Cavill has been cast as the new Superman. 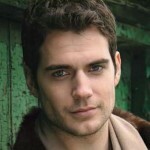 Henry Cavill is a fairly unknown British actor who played Charles Brandon in the BBC historical drama The Tudors. The new movie will be a complete reboot of the Man of Steel story, Supermans complete origin may has a whole new take. The script is being written by David S. Goyer who also wrote Batman Begins and the Dark Knight.